Pleased we look to be giving importance to the CC. This team needs to win something and we have a great opportunity here. Yup, with so many big boys out, this is a huge chance. Man I can't wait to see what Szczesny can do! All this hype about him being our best keeper already this past year as me on edge, to see him in Arsenal colors. The squad now looks deep enough to handle these games. Let's keep the winning momentum now! Yeah i agree, BUT with all the hype, Mr Wenger has done the right thing in holding him back, imagine if he has a bad game, people will jump on him, so this seems a good game for him to play in. Hope he does well. 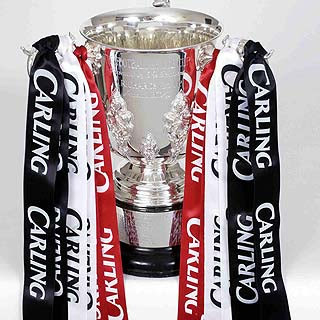 The momentum is key, that is how the unbeaten season started, and thats how titles and cups are won! Since im danish i just can`t wait to see Bendtner getting a start again. Ano Danish fan, i cant wait either! im a big fan of Niko Bendtner, always have been, if it wernt for him, we may not be in the champions league this season. I really beleive that. Yeah Steve, Nord is pushing but because it is a big game for us, not sure if Mr Wenger will risk him from the start, but if his fit and ready, then why not? Great chance and a realy strong team but would have liked to see Nasri in the team!